People with reduced mobility can also enjoy the city's magnificent beaches. On the beaches of Barceloneta and Nova Icària, and also at the Fòrum bathing area, the Red Cross provides staff to help people with reduced mobility enter and leave the water. There is a changing hut, amphibious chairs, life jackets and parasols. The city's other beaches are all accessible, with reserved parking places, adapted showers and toilets and wooden walkways to the water's edge. In Barcelona, it is possible to live in completely adapted apartments with a full range of services for physically dependent people, in a block where the common areas are also designed for people with personal autonomy. These independent living modules are designed for people who, while physically dependent, wish to enjoy a high degree of independence. They have 24-hour-a-day care services. This section of the Turisme de Barcelona web site is a digital space for persons with a disability. Here you will find information on museums that have been adapted to facilitate access, hotels without barriers, sign language tours and all that you need to know about accessibility in the city. 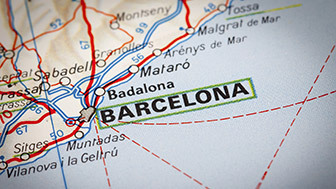 The first travel agency in Barcelona to specialise in accessible tourism offers tourist services to people with any kind of disability and people with reduced mobility. They help visitors to find accommodation and offer care and leisure services, such as transfers from a visitor's point of arrival to their hotel, adapted transport and also the advice of a personal shopper when shopping in the city. They also offer personalised routes and guided visits. The Turisme de Catalunya website offers a selection of the 23 destinations with adapted tourist resources. 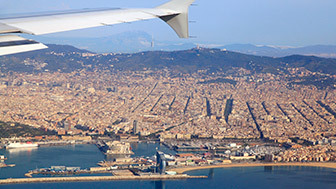 The wide range of options include visits to historical and cultural places, such as Palau Güell, Casa Batlló, the Cathedral and Plaça del Rei in Barcelona, and sports and leisure activities throughout Catalonia, such as skiing at La Molina or flying over La Garrotxa in an aerostatic balloon. Eighteen city parks have been adapted to make them accessible to people with special needs. Some include informative maps and signposting adapted to the Braille system, and there are also routes with railings and galvanised steel for protection. All of them have car parks with reserved places for people with reduced mobility. The Accessible Tourism website has information about all of the special services offered by parks. All of Barcelona's Tourist Information Points have detailed information about accessibility in the city. The Information Offices and the Call Centre all offer personalised information to ensure that people with special needs enjoy an easy, comfortable stay in the city. Barcelona has made an enormous effort to eliminate architectural barriers and become an accessible city for anyone with functional diversity. This means that the city not only provides everyone with a better quality of life, including those people without reduced mobility, it also makes the city a more attractive place for visitors with reduced mobility or communication, and their families. For this reason, the city's municipal establishments and many other private ones have not only incorporated physically accessible access points, but they have also broken down auditory and visual communication barriers. People's functional self-sufficiency is not just about wheelchairs and permanent auditory and visual disabilities. There are also many people whose everyday self-sufficiency has been reduced, perhaps because they have small children and prams, or because they are elderly or they have temporary physical injuries. Making the city's infrastructures accessible to all of these groups of people is a challenge that has become one of Barcelona's priorities. Most of the city's tourist establishments, from museums and cultural centres to accommodation and restaurants, have adapted their facilities to accommodate society's functional diversity. On the internet, there are many resources which help you get first-hand information about all the services available to people with functional diversity and their families. The city's museums and exhibition centres are designed to ensure that people with special needs are able to get the most out of their events and facilities. The city's parks and beaches have adapted their facilities for people with special needs. The metro, trams and buses have eliminated transport barriers in order to make mobility easy for people with special needs. The Bus Turístic vehicles have also been adapted. The Accessible Tourism website has a search engine for finding hotels with adapted facilities. Sailing, swimming, cycling, scuba diving and so on. There are no barriers for people who wish to do sport in the city, even though they have special needs. On foot or by different forms of transport, with or without a guide. Everyone can personalise Barcelona Turisme's guided routes according to their particular needs. Although public transport in Barcelona is perfectly adapted for people with special needs, people can also rent adapted vehicles for transport in and outside the city. There are various car-rental services in the metropolitan area and the suburbs that offer this service. Although it is not easy to find adapted taxis in the city centre, people who use wheelchairs can get a taxi if they telephone one of the various taxi companies with a fleet of adapted vehicles. Guide dogs can be taken in all city taxis. There are many opportunities to do adapted sport in Barcelona and its surrounding area: swimming in municipal swimming pools or at adapted beaches, sailing, scuba diving, adapted cycling and golf. Apart from municipal facilities, there are various organisations and companies that specialise in these services. This is an accessible guided tour with an easy and comfortable itinerary, free of architectural barriers and adapted to the needs of people with reduced mobility. The tours, which last an hour, are run by professional guides and given in small groups. It also offers a portable-seat lending service. Most of the city's interesting sights, such as its singular buildings, monuments and museums, its natural areas, such as beaches and parks, and even its World Heritage Sites have been adapted in recent years in order to make them accessible to all functional diversities. A search engine will help you locate them. Although there are still some metro stations that have yet to be adapted, most of the city's stations have lifts for getting to and from their platforms. The city's fleet of buses is fully adapted, as are the trams and railways. Some tourist transport services, such as the cable cars and Bus Turístic vehicles, have also been adapted. The vast majority of Barcelona's hotels have adapted rooms for people with reduced mobility. There is also aparthotel self-contained accommodation available. You can search for accommodation using location, category or any other search criteria. Search engines provide information on accommodation accessibility in every case. There are messenger companies in Barcelona that specialise in special dispatches and in transporting guide dogs. The Born Cultural and Memorial Center is especially designed to accommodate people with functional diversity. The facilities are completely accessible physically, but the centre is also designed to guarantee visual, auditory and intellectual accessibility for everyone.